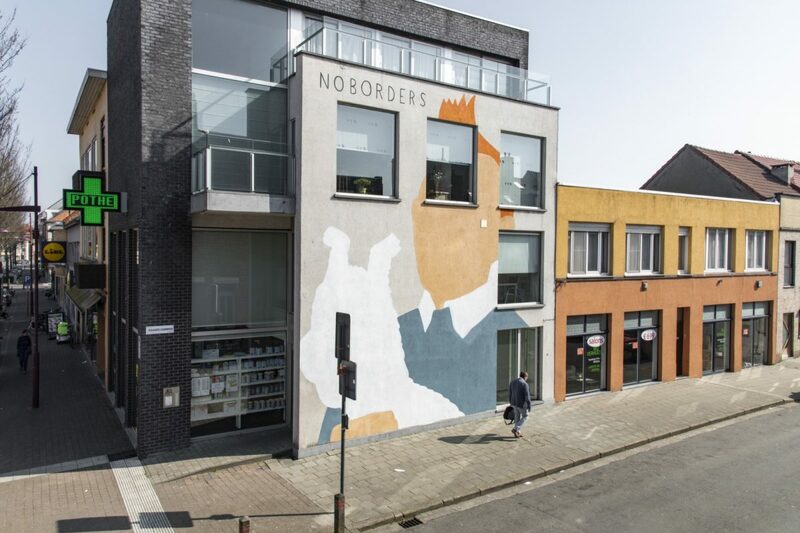 As a pre-opener of the 2019 edition Crystal Ship public art festival, Spanish street artist Escif dropped two new murals at different locations in Oostende, a town in Belgium. The festival will occur from April 13th to April 22nd. 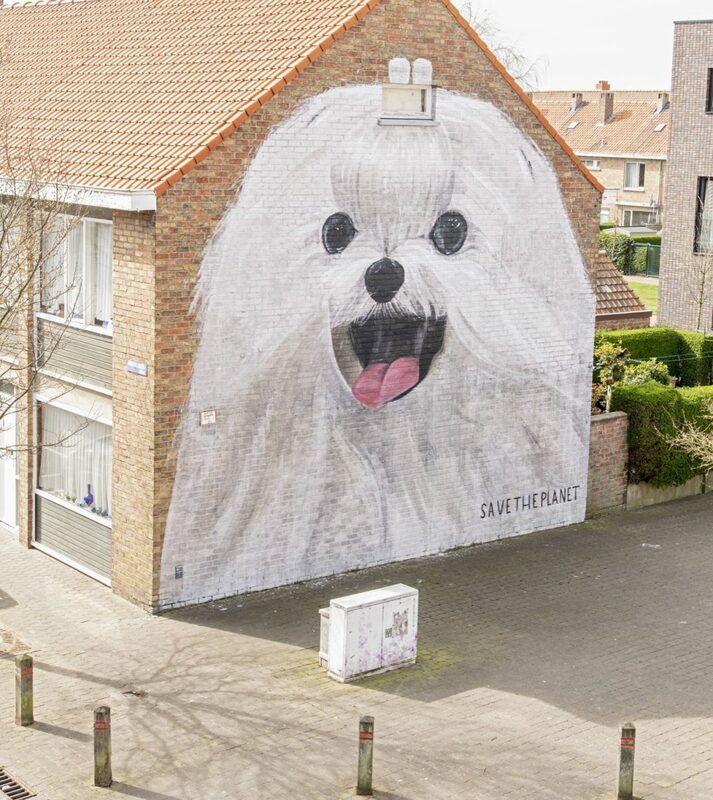 The first artwork, called „Save the Planet“ shows a huge white dog, looking right at the observer. 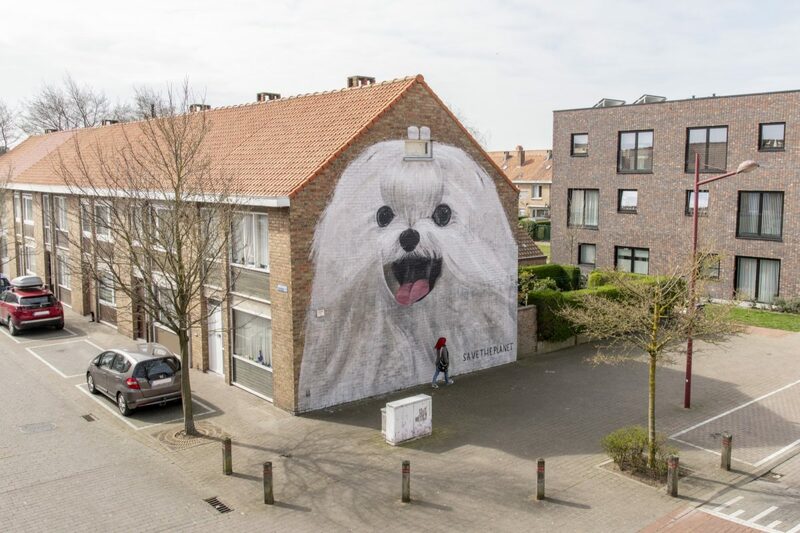 A nice detail here is the building’s upper window, which fits right into the mural, making it look like the dog’s hair bow. 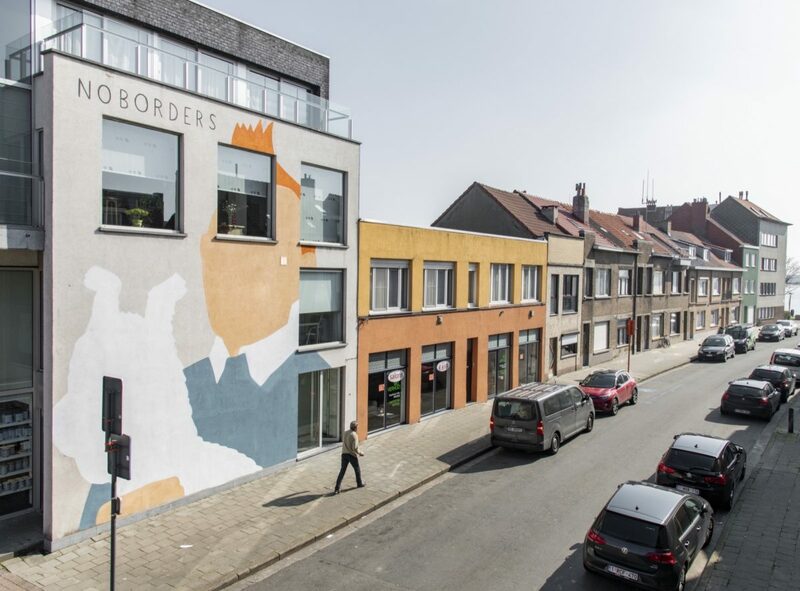 The second artwork is a recreation of the two comic characters Tintin and Snowy, which are popular among Belgien Citizens. 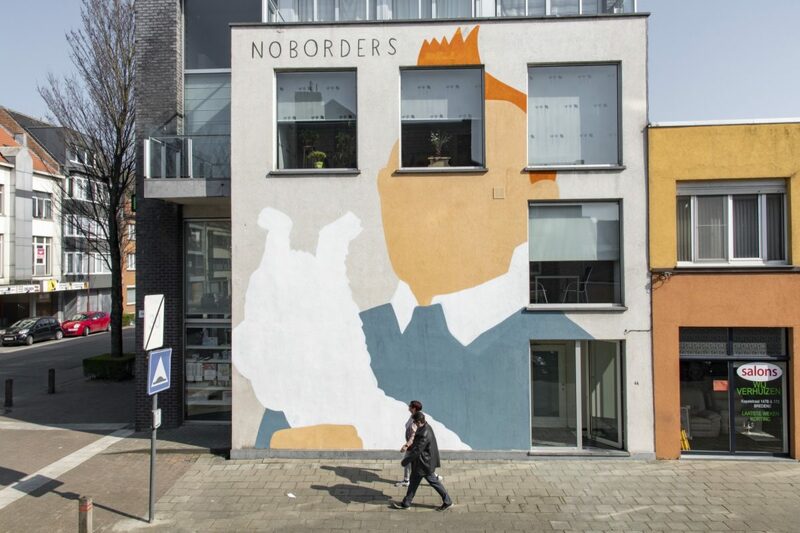 The title „No Borders“ can be connected to the fact that Escif didn’t use any outer lines for the two figures showed. 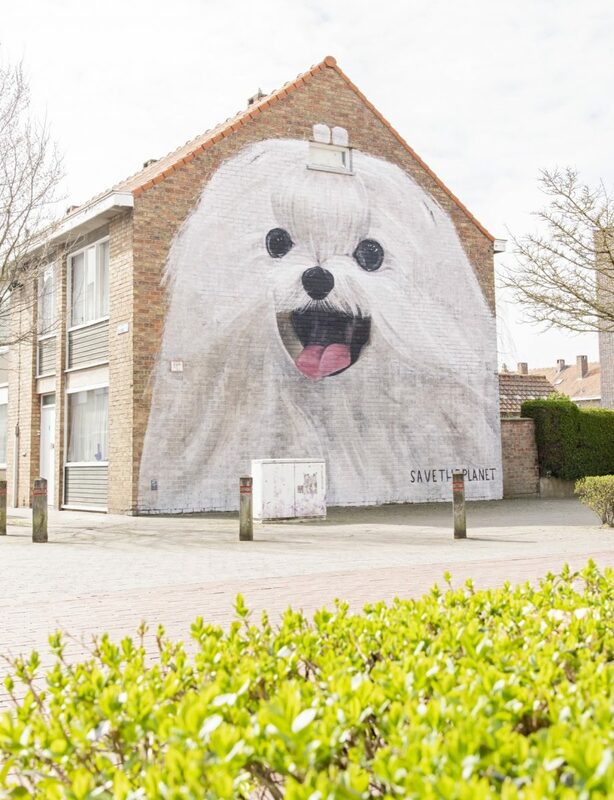 Veröffentlicht in contemporary art, Festivals, Murals, Projects, street art, urban artGetaggt mit 2019, Crystal Ship, ESCIF, Mural, OostendeBookmark the permalink.